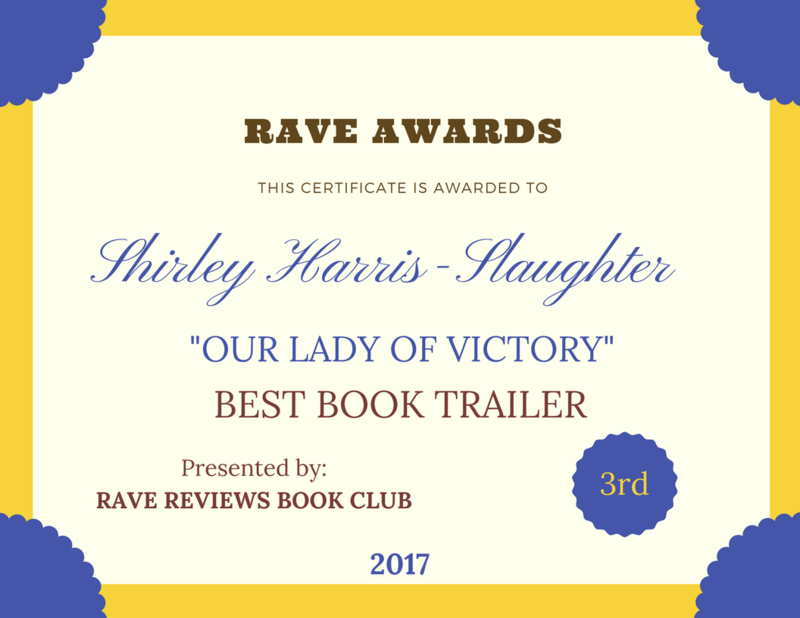 Reviewers #RRBC | Our Lady of Victory Remembered! As an author, there is nothing more encouraging than receiving a rave review for one of your books. But, reviewers must maintain credibility. And that is my topic today. I am an avid reader. I love nothing more than to sink my teeth into a good story. And, I never hesitate to leave a review once I finish. However, what happens when a reader picks up a book that leaves him lacking? Does that reviewer leave a false review to make the author feel better or tell the truth? I think the answer to that should be crystal clear. First of all, you are doing that author no favors by saying the book is better than it was. An honest but KIND review can help the author grow and get better at his craft. We never stretch or reach for more, when we think we already have it. This entry was posted in Uncategorized on March 29, 2017 by Shirley Harris-Slaughter. 2017 RRBC “BEST BOOK TRAILER” AWARD!